Spring: cleaning, flowers blooming, new outdoor furniture. Now that you’ve mastered the art of spring design…. time to relax? Think again. A savvy designer is a fortune teller as much a decorator. Keeping your eyes peeled at all times for the trends happening now will keep you ahead of the curve, just in time for your next makeover. Here are a few trends gathered from the worlds of fashion, art, and design that will inspire the changes you make this fall. No crystal ball necessary. Florals for spring were groundbreaking (not to quote Devil Wears Prada) and now it seems that nature’s course has led us to one of their prettiest winged-creations: the butterfly. 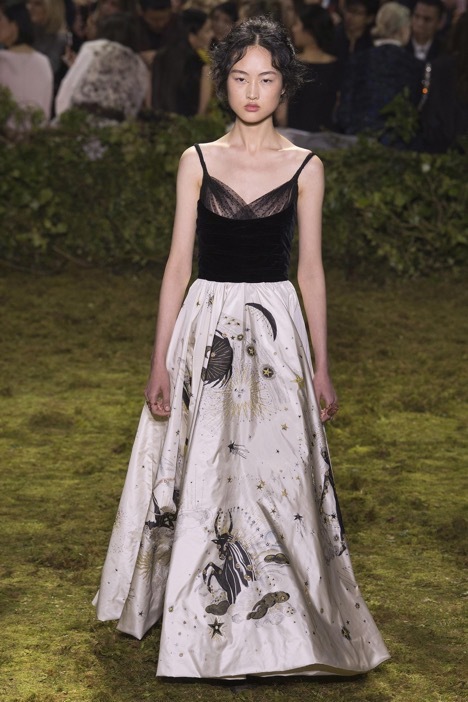 Fluttering its ways down the runway, Valentino took it to the arthropod world to levitate their latest resort collection. Seen below in this Christian Lacroix wallpaper – it seems that gowns aren’t the only things “moving” this season. 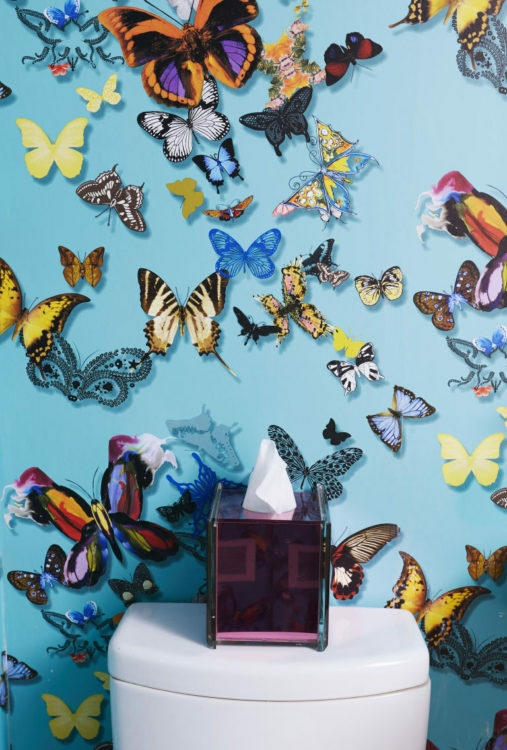 Spruce up a powder room with this vibrant winged-wallpaper. Still too much? Choose butterfly print for pillows that show color in a unique way. Embark on a new quest. Look to the stars (what sign are you, and what decor should you follow) for this next design trend. Celestial patterns, cosmic lighting, and stained glass all embody this urge to go above and beyond. Dior cast a supernova effect for their spring collection that had literal depictions of the orbit system and all its mysticism (thanks, Galileo!) 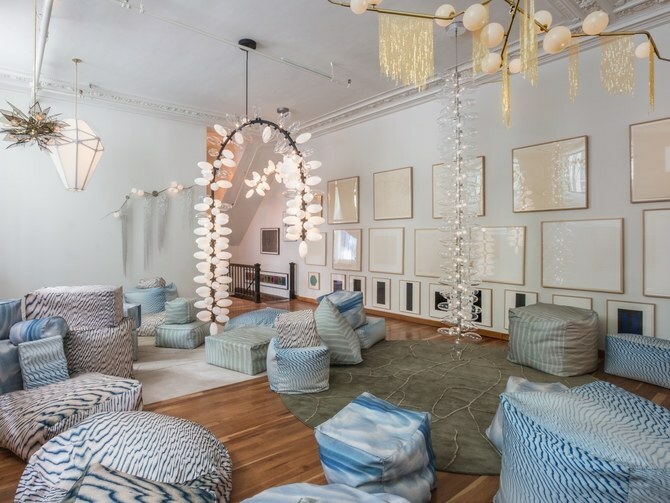 It’s no coincidence – according to this galactic alignment – that New York-based lighting guru Lindsey Adelman, used her telescopic vision to look into the future and create a setting (both in prints and lighting) that makes you feel like you’re atop (or over) the moon! It’s hard to keep an eye off a good stone (crystal, sapphire, emeralds), and in interiors, the same type of visual play ensues. 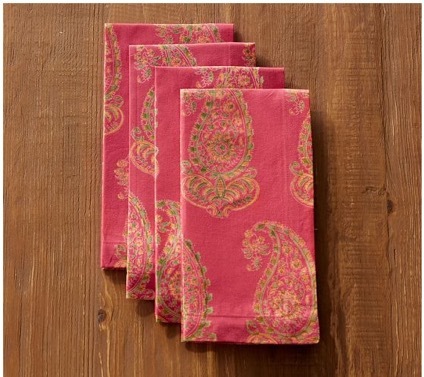 There’s something energizing about the effect these hues have on traditional spaces. 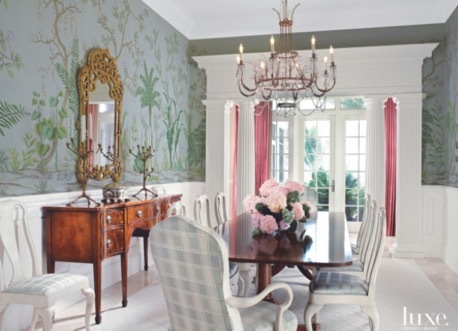 Stern furnishings such as antiques can be offset by these fun tones. Just like you wouldn’t wear ONLY jewels across your body, you wouldn’t let these saturated tones overwhelm the rest of your design scheme. Painting a wall this color? Not recommended. 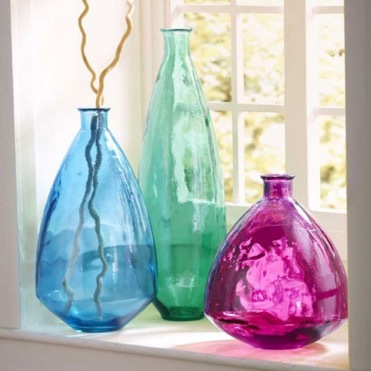 Adding some flare with a pair of vases or towels? Wham, bam, thank you, glam. No one’s perfect, why should our designs be? When we think of nature in all its glory, there is one unique perspective that unifies the theme of what makes it special: imperfection. Directing it more towards design, and manufacturing, things that are made by soft-hand are being sought after again. Rugs, sculptures, offer a human attachment that has surfaced once again; a feeling lost in the digital age, or otherwise. By curating things made by the hand, we will get things that are: one-of-a-kind and irregular, but that’s ok. You’ll be the talk of the town…maybe this will be a re-birth of the block party. Life comes full circle, and so does design. 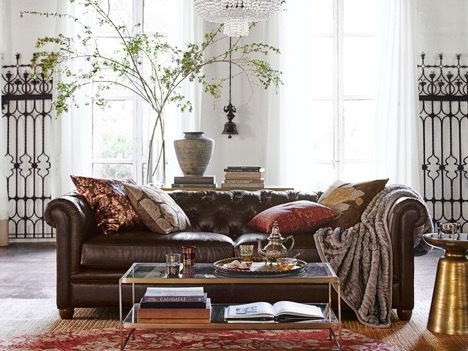 A few seasons ago, designers were decorating with pops of mini-florals; adding an element of whimsy to any space. Today (maybe after too much watering) the prints have sprouted into these fully grown botanicals, now seen in macro-scaled biophilia. 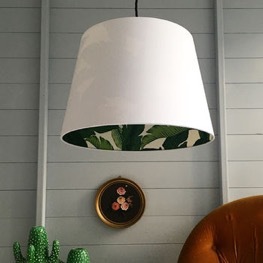 Shown above is an example oh how to use this print in a more subtle way (inside the lamp shade) the trick is not to be scared, be bold. 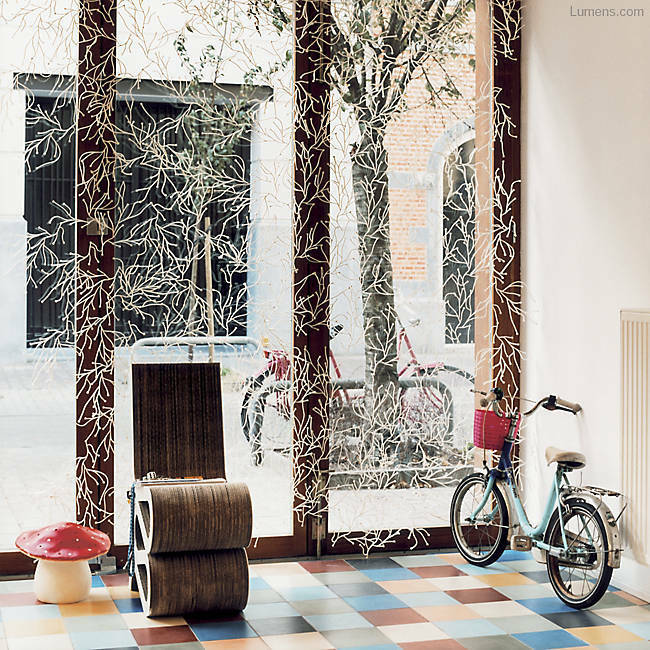 Use giant leaves to make a statement no matter what corner you place them in. 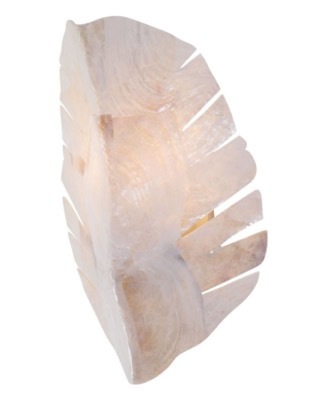 Offered in these fun shapes, the banana leaf sconce by Varaluz sheds light in a new way. Like all great design, the art lies in the hunt as much as the final product. Spring forward by setting the time back and your eyes set on the world around you – I promise it will not disappoint. Need a reminder of what’s in now?